After two years of trying to get his war off the ground the French’s First Nation allies got tired of waiting. A party of Iroquois from Sault Ste. Louis along with the Wyandotte and Potawatomi from de troit met with the northern nations at Chicago. They determined to go to le Rocher, a village in Illinois country, to see the sons of de Ramezay and de Longueuil. Their plan was to get them to raise a French force to join them on a march against the Fox’s allies. When they arrived in Illinois territory they found both Frenchmen very sick at Kaskaskia. However, they ordered a Frenchmen named Bizaillon who was on the Illinois River to raise as many Illinois warriors as he could to join the expedition. After raising some Illinois he and a Frenchman named Pachot joined the campaign. They found 70 wigwams belonging to the Mascoutin and Kickapoo who were hunting along a river. They attacked so their enemy dug in on a steep rock and after a long seige their fortress gave way. The Iroquois and allies killed more than 100 and took 47 prisoners not counting women and children. In order to make tracking them difficult they moved down the river a distance of 75 miles but after 11 days they were overtaken by 400 warriors who were the elite of the Fox Nation. The Fox attacked at dawn. The Iroquois, Wyandotte, Potawatomi and Illinois had only 80 warriors left in their party and 50 of them defended the redoubt where the wounded and prisoners were being kept. The battle raged until 3 o’clock in the afternoon when the Fox finally retreated after losing many warriors. The Iroquois etc. pursued them for several hours killing even more. When they returned to Illinois country they took a count reporting 26 killed and 18 wounded. This expedition took place in November 1715 and the two stunning defeats served both to bolster the spirits of the French First Nation allies and demoralize the spirits of the Fox and their allies. Both the Mascoutin and Kickapoo nations surrendered themselves to the governor Vaudreuil swearing that if the Fox refused to capitulate as well they would turn on their former ally. The following spring de Louvigny left Montreal with 225 Frenchmen and another 200 from de troit and Michilimackinac joined him. Another 400 First Nation allies also joined the campaign. They had all the munitions needed for the war including 2 pieces of cannon and a grenade mortar. They found 500 Fox warriors and 3,000 women congregated on their river in a fortress with three palisades. The attack began in earnest but the bullets from their firearms were of no effect. However, they kept the heavy artillery firing constantly night and day. This constant barrage quickly damaged the palisades and the Fox feared they would be breached by the third night. They also had expected another 300 warriors to arrive as reinforcements but they didn’t materialize. Things looked bad for the Fox so they called out for a parlay to talk peace. The French and allies ignored the Fox’s first overture and kept on firing. They also covertly placed two bombs underneath the gates of the fort and were ready to blow the gates off when the Fox called out again. This time Louvigny submitted the call to surrender to his First Nation allies. The First Nations imposed such stringent conditions that they thought the Fox would never agree to them. They were of the mind to utterly destroy the Fox Nation. First, They had to agree to make peace with all the First Nations around them. Second, they had to bring their allies, the Mascoutin and Kickapoo on board, even if it be by force. Third, they must return all prisoners they held to their respective nations. Fourth, They must go to war in distant lands to get prisoners to replace all those killed by them during the war. Fifth, they must cover the costs of the war by goods procured through the hunt. Sixth, They must give up six chiefs or children of chiefs to be taken to Vaudreuil as and held as guarantees for the articles of the treaty. Much to everyone’s surprise the Fox agreed to these conditions! Sieur de Louvigny’s campaign against the Fox was a great success but this would not be the last of their belligerence nor the end of the Fox Wars. NEXT WEEK: The Fox Return To their Old Ways. Greetings All! Well I’m back from my hiatus. Check out the new pics on the side. I gave a presentation on Aamjiwnaang’s history and culture at a Native American Celebration Day at the St. Clair County Community College, Port Huron, MI last week. So, I let everything slide beforehand to prepare. But now back to the early 1700’s in the Great Lakes. In the last post we left about 1000 Fox and Mascoutin men, women and children being massacred at Grosse Point, MI on Lake St. Clair. Back in their main villages the Fox, Mascoutin and their Kickapoo allies heard about the disaster at de troit. This made them extremely agitated so they began sending out war parties everywhere to exact revenge. They sent them to Green Bay and de troit attacking all who were not allied with them. This made the routes of travel totally unsafe. In the spring of 1713 they killed a Frenchman named l’Epine at Green Bay. They then attacked de troit killing three Frenchmen and five Wyandotte people. So the Wyandotte along with the Miami sent a delegation to Quebec to ask the French to join them in an expedition against the Fox and their allies in order to seek satisfaction. Governor Vaudreuil agreed that the Fox had become so unruly that if the French did nothing they would be looked upon with contempt by all the far nations. But, he didn’t want the expense of any expedition to be charge to the King’s treasury so he hatched a plan to pay for it by using the colony’s commerce. There was in the upper country about a hundred coureurs de bois who were French fur traders that had gone rogue. They had been ordered to cease their trading activities but they refused the direct order from the King. Many were even dealing with the English for trade goods. They were now considered outlaws. But, Vaudreuil reasoned, if the King were to pardon them he could issue them new licences, supply them with trading goods if they would promise to congregate at Michilimackinac and join in the war against the Fox. The profits from the trade goods could in turn pay for the expedition. In 1714 Claude de Ramsey became acting governor while de Vaudreuil was in France. For two years the French did nothing but in the spring of 1715 they sent presents to the Miami and Illinois in order to arrange a peace between the two. They were both very large nations and both were common enemies of the Fox. Meanwhile de Vaudreuil returned, asking Sieur de Louvigny, a military man with some import with the First Nations, to go to Michilimackinac. He was to take with him twenty men, munitions for the garrison and trade goods. He also had orders to accomplish three things. First he was to ascertain if a general peace was even a possibility. Depending on the attitude of the far nations toward the Fox and their allies he would know if there was anything acceptable to them to “cover their dead” and if the Fox were to agree to the terms. Second, he was to encourage the Sioux to break the peace they had arranged with the Fox and not to give them safe haven once the expedition commenced. Third, he was to offer the King’s amnesty to the coureurs de bois if they all came to Michilimackinac and agreed to participate. However, de Louvigny got sick and could not go until the following spring. Finally he arrived at Michilimackinac and ascertained that a general peace was not possible. However, when he arrived he found the situation rife with problems. The Sauk were fighting with the Puants and Sauteurs. The coureurs de bois were a lawless group trading with everyone including the Fox. This upset all the far nations allied against the Fox. He also discovered that they were getting their trade goods from unscrupulous merchants in Montreal. To top things off the goods and munitions to supply the expedition didn’t arrive until late August, too late to do anything that year! 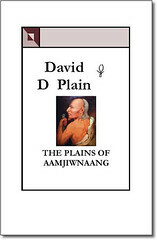 You are currently browsing the Books by David D Plain Blog blog archives for April, 2010.